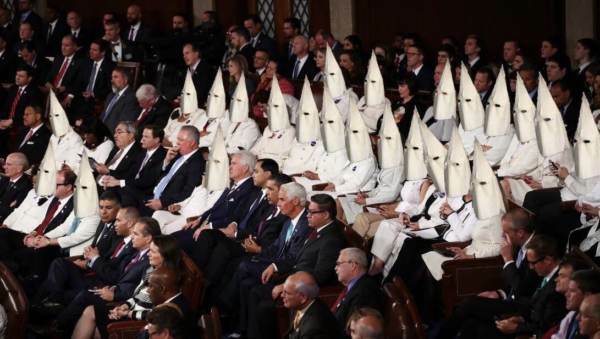 Is this why the female Democrats wore white at the SOTU? Maybe white wasn’t the best choice for Democrats to wear while embroiled in a KKK scandal. Good point. Dead baby girls can’t vote. I thought it was show that Dems support full-term abortion & the white dresses should have red on them– to represent the blood of the infants they want killed. So the KKK owns the color white now? Y’all plan on sending out that memo. Nice. Should we photoshop a Hitler mustache on Trev’s face?